I’m going to preface this with most of these books about Africa will break your heart, but there are also extraordinary stories in them. Africa is humanity and nature at its rawest. It’s a continent home to some of the greatest natural features on earth and some of the worst atrocities in modern history. This is by no means a comprehensive list of books about Africa, of which there are many, but more simply a list of books to give you a taste. These are all written by more talented writers than myself and they are all from Africa. I promise you won’t find any Joseph Conrad (Heart of Darkness) on this list. I’m pretty much obligated to add this one to the top of this list of books about Africa because it is the first book Tasha and I read on here. Our first year in college our University bought thousands of the book, hosted the author, and gave everyone a free copy. 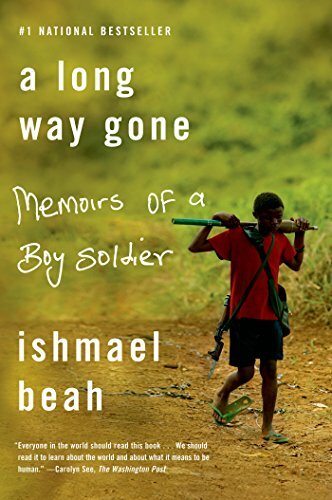 The book follows the story of Ishmael Beah as he is taken up in Sierra Leonne as a child soldier. Ishmael must fight for his survival of not only his life but his soul. You can find a copy here. 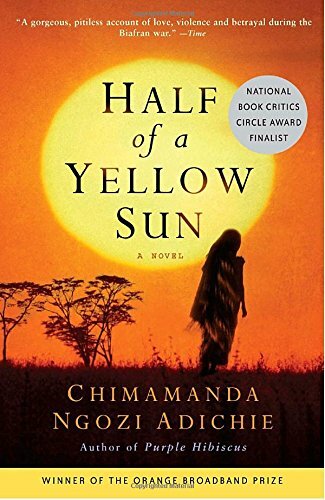 Half of a Yellow sun is by Nigerian author Chimamanda Ngozi Adichie and takes place during the Nigerian Civil War in the 1960’s. The story follows several characters as Nigeria fights to become an independent republic. The best way of describing the story is real. It is honest and takes the reader through hope, disappointment, love, and heartbreak. You can find a copy here. 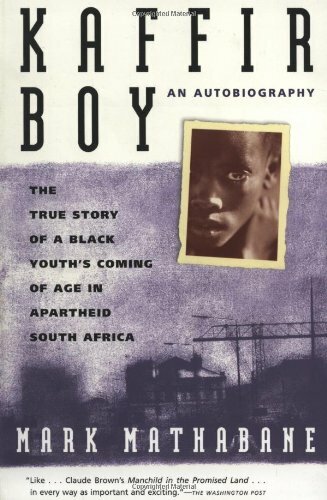 This story follows the journey of Peekay, a South African English boy who at five is sent away to boarding school. The story takes place at the onset of WWII, and as the war wages, Peekay is the victim of constant harassment from his Afrikaans counterparts. Through his eyes, we witness racial injustice and the perseverance of life. 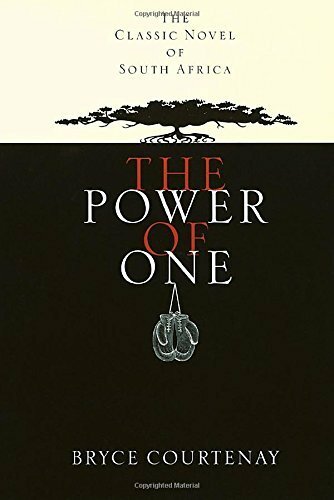 The story is about the power of self-preservation or the power of one. You can find a copy here. This is the true story of magic and ingenuity. Living in a village in Malawi 14-year-old William Kamkwamba had little access to electricity and water. 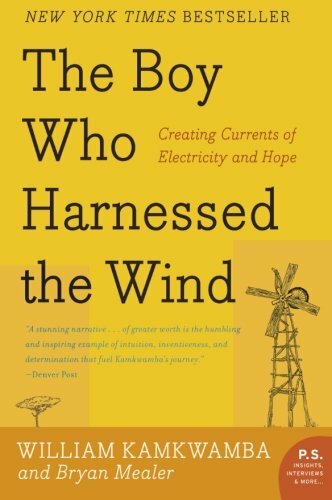 However, he had read of windmills and the power which they can create. William set out to deliver running water and electricity to his village. A luxury that few Malawians had. At the discouragement of others, William continued to dream and pressed on delivering his goal. You can find a copy here. 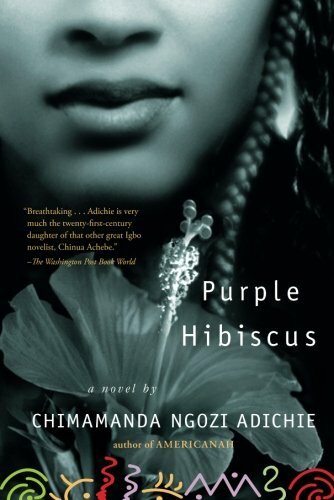 Purple Hibiscus follows the story of Kambili and her older brother Jaja. They are raised by a well-off family and a fanatically religious father. Kambili spend most of her life within her families compound, but when a military coup begins in Nigeria she is forced to abandon her home. Outside she finds the world full of freedom. However, when she returns she must strive to keep her family bonds together. The story is woven with beautiful prose that leaves me envious of Chimamanda Ngozi Adichie’s talent. You can find a copy here. “As I finally walked through those gates to enter a car on the other side, I felt- even at the age of seventy-one- that my life was beginning anew. My ten thousand days of imprisonment were over.” -Nelson Mandela. What more can be said about Nelson Mandela? He is possibly one of the must influential and inspirational Africans to have lived. When Nelson Mandela passed away in 2013 it was a loss to the world. 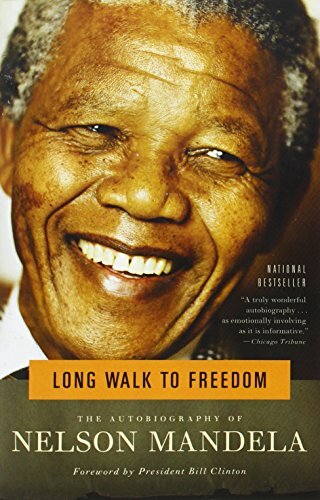 His autobiography covers the span of his life up until he becomes president of South Africa. You can find a copy here. 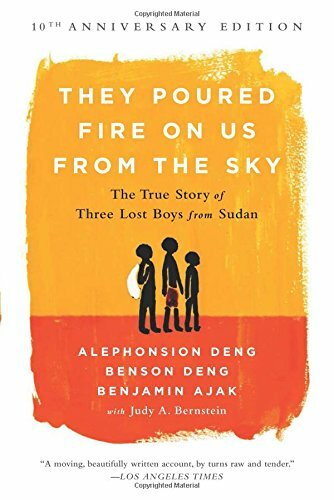 The true story of three Sudanese boys who fight for their survival. It recounts in their eyes the Second Sudanese War in 1987 and how they flee across Africa until they finally reach a refugee camp in Kenya where the struggle continues. They are then accepted as part of the Lost Boys of Sudan program in U.S. and continue their journey into America where they will face more adversity. You can find a copy here. 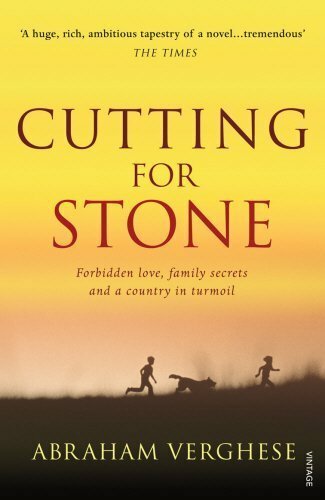 In this book about Africa, author Abraham Verghese is not your typical African, nor are his characters in his first novel Cutting For Stone. His story follows twin brothers who are born and orphaned in Ethiopia by their Indian and British Parents. It is a coming of age story about betrayal, love, grief, and forgiveness. The story touches on so many elements in such as politics, travel, sexual awakening, culture, and travel. You can find a copy here. Mark Mathabane was born into the cruelty of Apartheid. His story begins in one of the worst South African ghettos and chronicles life with police raids and bloody gang violence. However, with the strength of his family, Mark earns an education and eventually is given a scholarship to an American University. Mark’s story is one of poverty and triumph. You can find a copy here. 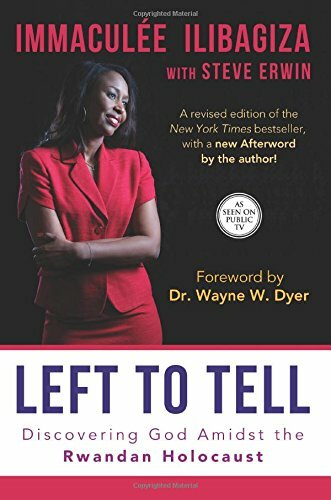 I am not religious, but that should stand as a testament to how incredible Immaculée Ilibagiza’s story is. Her autobiography recounts her own personal horrors as her home country of Rwanda is torn apart in 1994. The genocide that ensues consumes her family, friends, and those around her. Her strength and faith are awe inspiring. She most certainly was left with a story to tell, and one that should be read. You can find a copy here. Did I leave a book about Africa out? Is there a book you read about Africa or by an African author you feel should be on this list? Drop me a message, I’ll give it a read and perhaps add it to the list. Or maybe you’re looking for something different? Check out our post on our the the best travel movies.